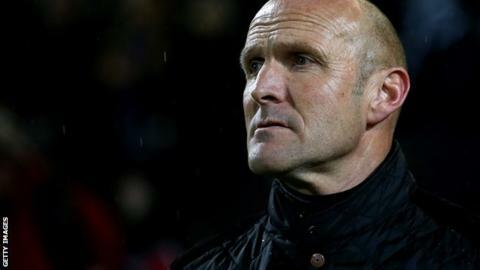 Chester manager Steve Burr has criticised the move that will see relegated Football League clubs receive an increase in parachute payments. At the moment teams that are relegated receive a one-off payment that is 50% of what League Two clubs receive. From 2016-17 they will get same amount as League Two clubs in the first year followed by 50% in the second year. "I just can't understand the logic behind it at all," Burr, 55, told BBC Radio Merseyside. "It's going to give even more of an advantage to the teams coming down with what they can use budget-wise to get straight back up. "That obviously is going to be very difficult for the teams to compete against that, so very, very disappointing to hear that." Football League chief executive Shaun Harvey said the 'financial trauma' some clubs suffered after relegation to the National League has caused them to fold and it needed to be addressed. "They are in trouble because they've been run badly," added Burr. "Teams in the National League now are run very prudently and they've shown that they've got pay within their means." Meanwhile, Chester have announced the signing of Everton striker Calum Dyson, 19, on a one-month loan deal.